Often when you order whiskey at a bar, the bartender will offer to dilute it with a splash of water. Some whiskey purists are going to say that it is blasphemous, but there is science behind that recommendation. 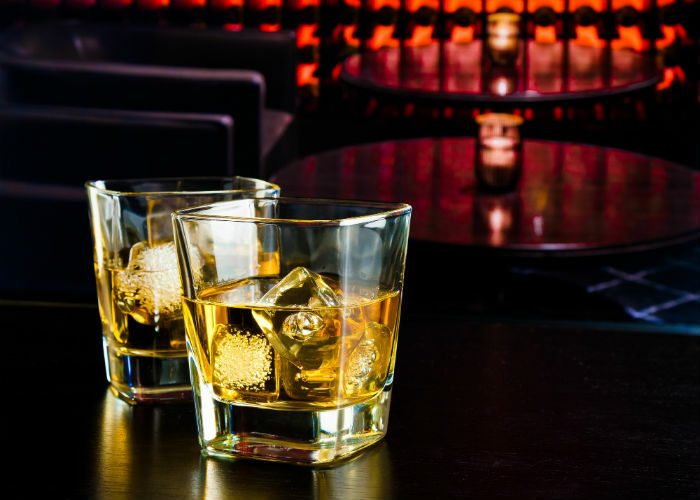 The truth is that a touch of water in a glass of whiskey, especially if it is Scotch whiskey, improves its solution, and the whiskey becomes more flavorful as a result. The smoky flavor in whiskey comes from guaiacol. Guaiacol is an aromatic oil, and it comes from a shrub-like plant with purple flowers called guaiacum. When it comes to whiskey, this compound is also found in wood creosote. Wood creosote is a distillate of wood-tar, and it saw its first uses in medicine in 1830s Germany. It has seen applications as an antibacterial agent for treating tuberculosis, diarrhea, and various external injuries. When making whiskey, distillers need to create a fermented alcohol solution known as mash. This solution is made from a mixture of grains, water, and yeast. One of the main differences between American, Irish, and Scottish whiskey is in the ingredients. Americans make bourbon out of corn, the Irish make their whiskey from a mixture of malt and regular barley, while the Scottish make their whiskey only from malted barley. After the mixture is made, it goes into distilers that are used to boil out the methanol, which leaves behind ethanol. This contains some of the flavorings from the original mash. When everything is separated, the remaining liquid is poured into charred oak barrels and left to age. This is where the guaiacol part of whiskey comes from. When you char wood, you create wood creosote, and as the liquid rests in the barrel, the guaiacol mixes into the liquor. Scotch contains more guaiacol because it is made from malted barley. Malted barley is soaked in water to start the process of germination, and then it is heated to stop the same germination process. This step adds more guaiacol to the mixture. 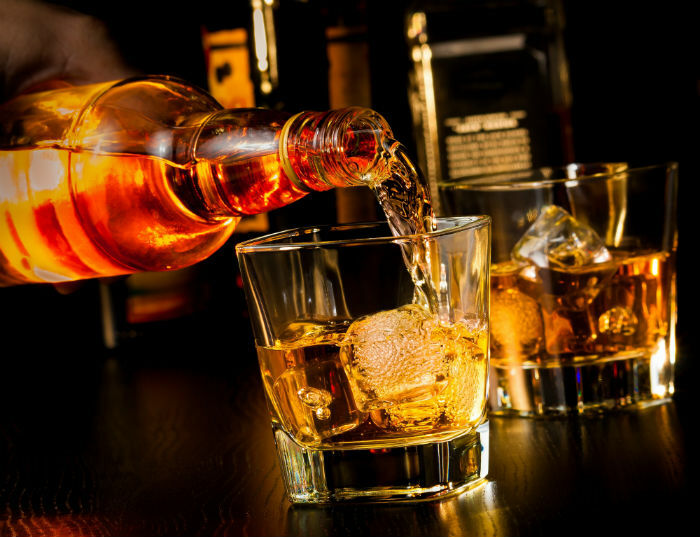 Most of the finer varieties of whiskey have 50 percent or more alcohol. In these whiskeys, the guaiacol usually sits closer to the bottom of the glass, and unless you are drinking it through the straw, you are not getting its full flavor. This is where adding water comes into play. Just a bit of water is enough to start moving the whiskey around, creating a more satisfying favor as it improves the smell and the taste of the whiskey. This knowledge comes from a study conducted by researchers from the Linnæus University in Sweden. The scientists created computational models to test the distribution levels of guaiacol in mixtures of water and alcohol. When the levels of alcohol are lower, the guaiacol moves closer to the surface. In stronger drinks, the alcohol that contains the flavorful guaiacol moves to the bottom of the glass. When it comes to whiskey that is poured straight from the cask, the research says that it receives the most significant benefits from adding a splash of water. This is because the bourbon from the barrel has been in contact with its guaiacol compounds so recently. This study needs some further testing, but for now it seems as though adding some water definitely is the way to go when it comes to drinking whiskey.